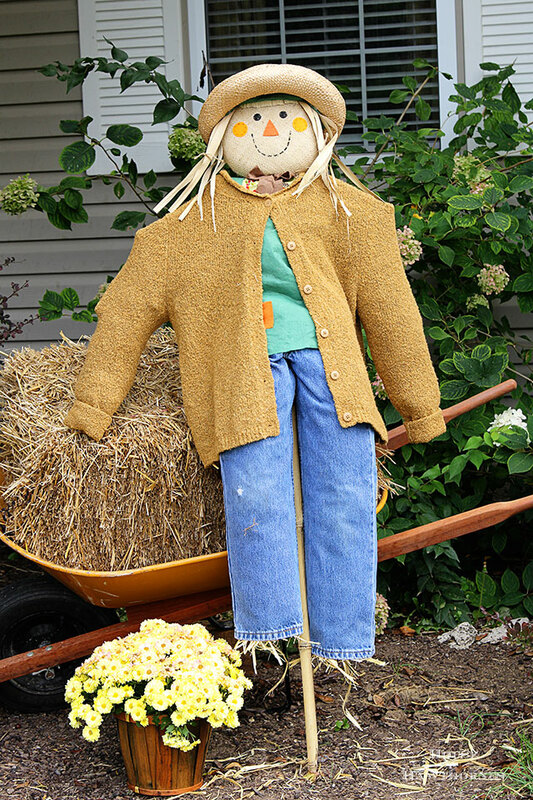 Get inspiration for fun, festive or scary scarecrows with over 20 DIY scarecrow ideas for your fall home decor. They’re not just for the garden anymore. I’m a scarecrow lover. There, I’ve said it. It’s out in the open! I can’t get enough of the scratchy, poorly dressed, scruffy looking fellas. I guess I’m not even limiting it to the boys in the fields, I sort of like the girls too. Basically if you have straw coming out of your shirt, I love you! So I thought if I was a such a scarecrow lover then maybe some of you may be too? Last year I took an inexpensive craft store scarecrow and turned it into a fancy schmancy scarecrow. 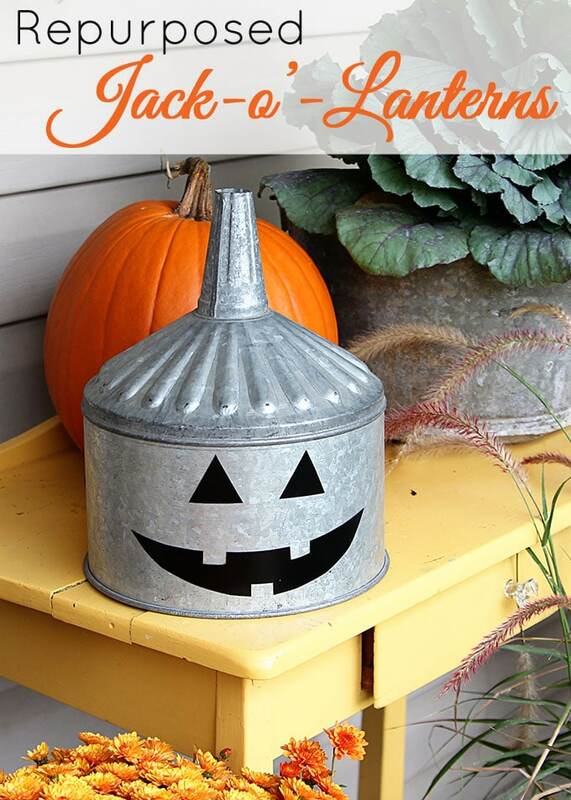 This year I wanted to give you some more creative scarecrow ideas. Some for the garden, some for the house and some to eat. Cover your ears Sally S. Crow (do you even have ears? ), but yes, some scarecrows are meant to be eaten. BTW, are scarecrows just a hop, skip, and a jump away from clowns? I hear some people are afraid of them, just like they are of clowns??? Hopefully I’m not giving anyone nightmares here. 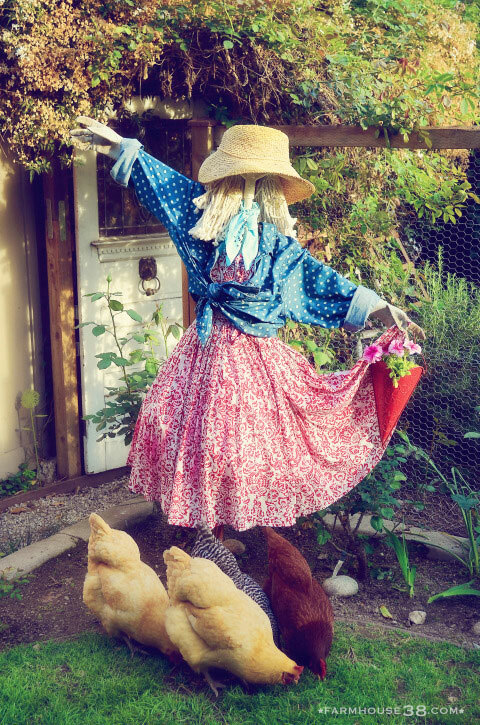 Kate from Farm & Foundry made this adorable scarecrow from a mop. Yes, that’s a mop for her hair!!! 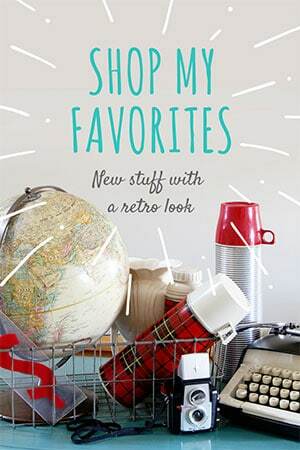 Kate’s blog is new to me, but I immediately fell in love with her photography and style. 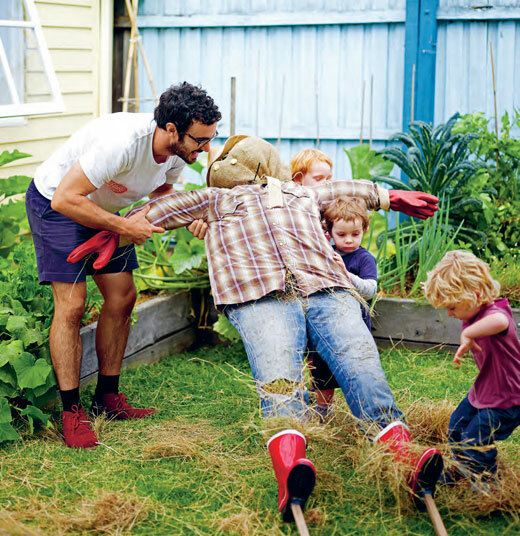 The Little Veggie Patch Co via The Design Files shows us, step by step, how to make a scarecrow for the garden. With adorable little kids helping. 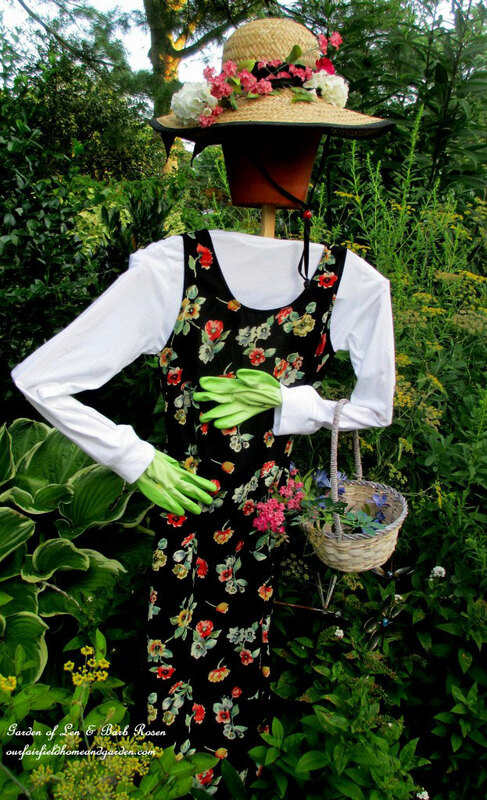 On Empress Of Dirt she shows how to make a scarecrow out of an ironing board. How creative is THAT! 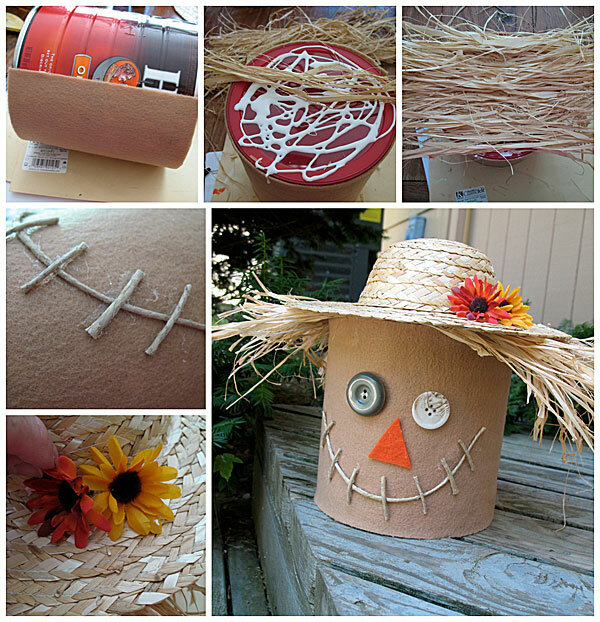 Amanda from Crafts By Amanda has a cute coffee can scarecrow craft even the kiddos can participate in. Tasha from Designer Trapped In A Lawyer’s Body makes me want to run over to the neighbor’s house and borrow one of their little girls for the day, so I can parade her around in one of these cute scarecrow tutu costumes on Halloween. I’m pretty sure my son would NOT be interested in wearing it. Wonder if I could somehow rework it into a dog tutu? BTW, I found some people on (an affiliate link, btw –>) etsy who are selling these costumes already made!!! Are you getting hungry yet? How about biting into a big old hunk of scarecrow head? 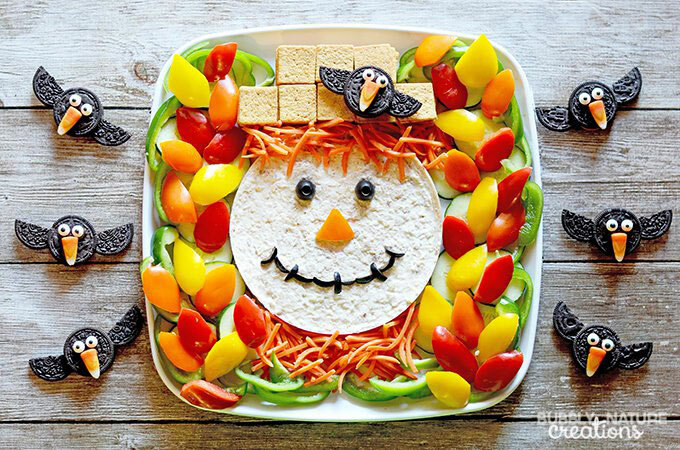 Bubbly Nature Creations show us how to make a scarecrow dip platter along with some super cute Oreo bats!!! Elizabeth at Ohio Thoughts (bet she’s a fellow Buckeye) shows a few different ways to make a scarecrow, one of which involves a milk jug. 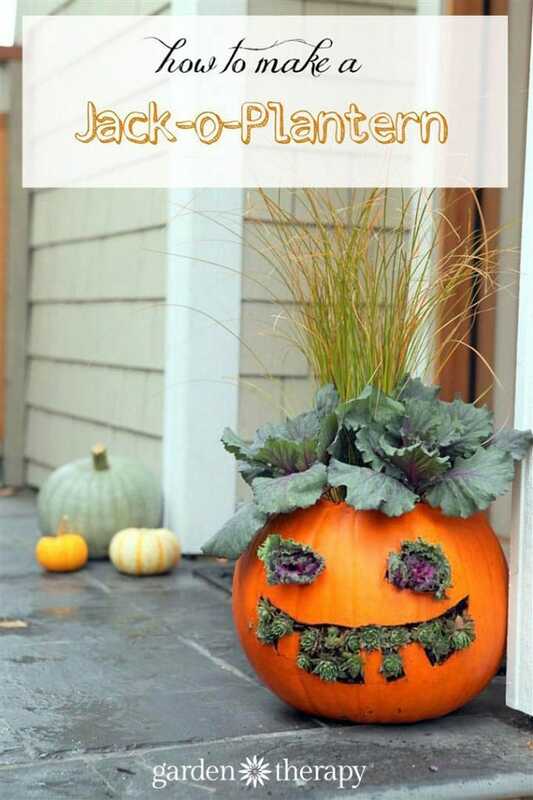 Stephanie from Garden Therapy is the Queen of Jack-o-Planterns. True, they are not actually a scarecrow per se, but close enough in my book! Sow And Dipity is showing us 33 Cool Scarecrow Ideas she made herself for a nursery. Aka a garden center. That would be a heck of a cute/scary baby nursery! 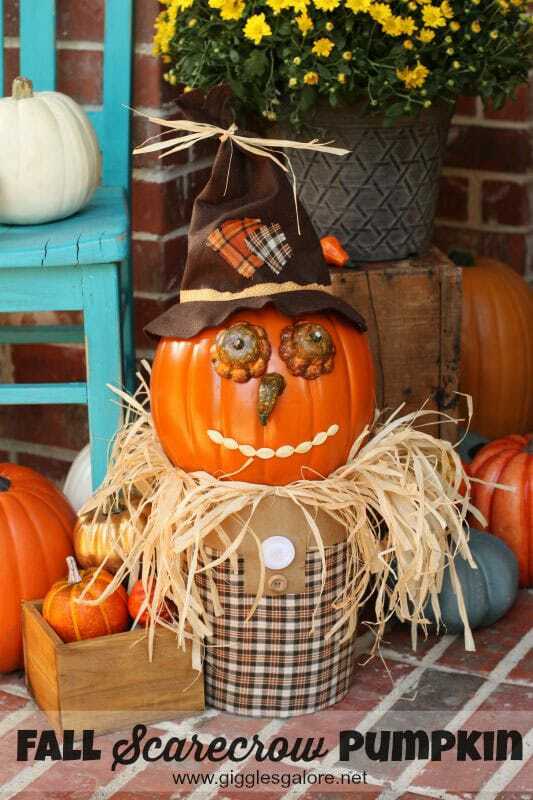 How festive is this scarecrow pumpkin craft from Giggles Galore! 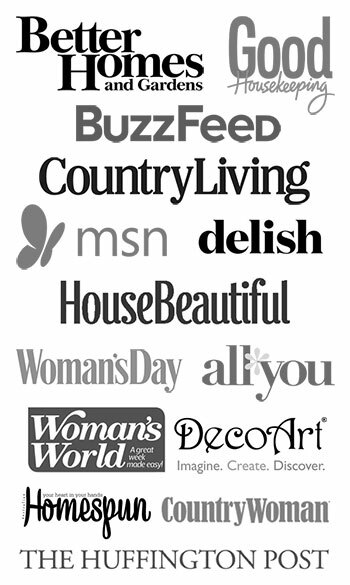 What a happy name for a website! 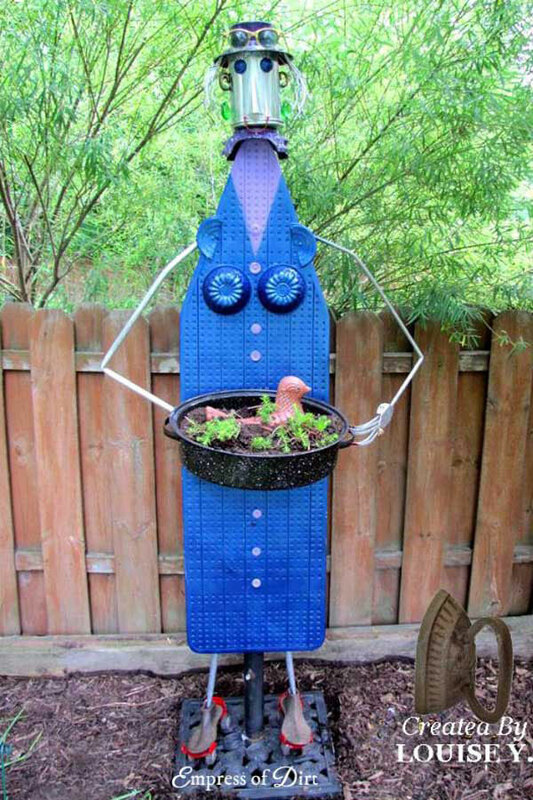 Barb at Our Fairfield Home & Garden used old scrap wood (and a flower pot) to make an elegant lady for the garden. 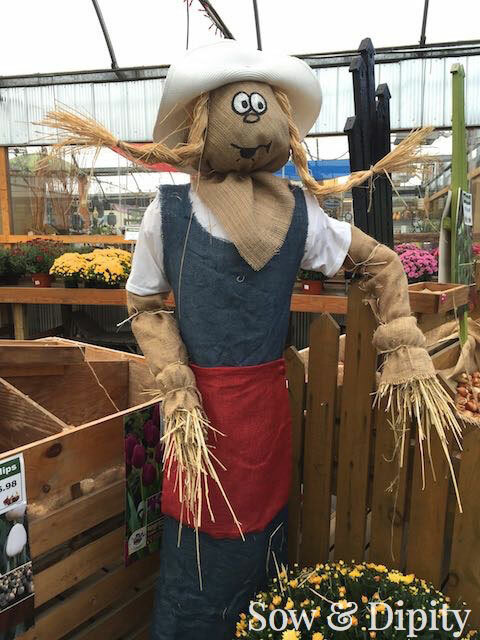 If you use plastic bags and plastic water bottles to stuff the scarecrow, as opposed to the traditional straw method, they will hold up better in wet weather. Pool noddles make excellent arms and legs. 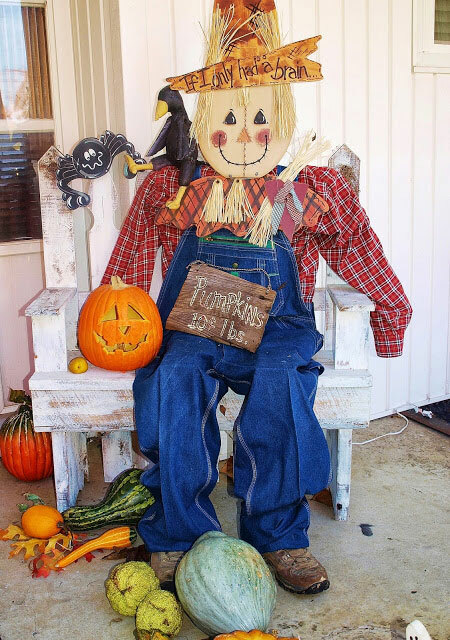 Clothing for your scarecrow can be found at the thrift stores or even your closet. 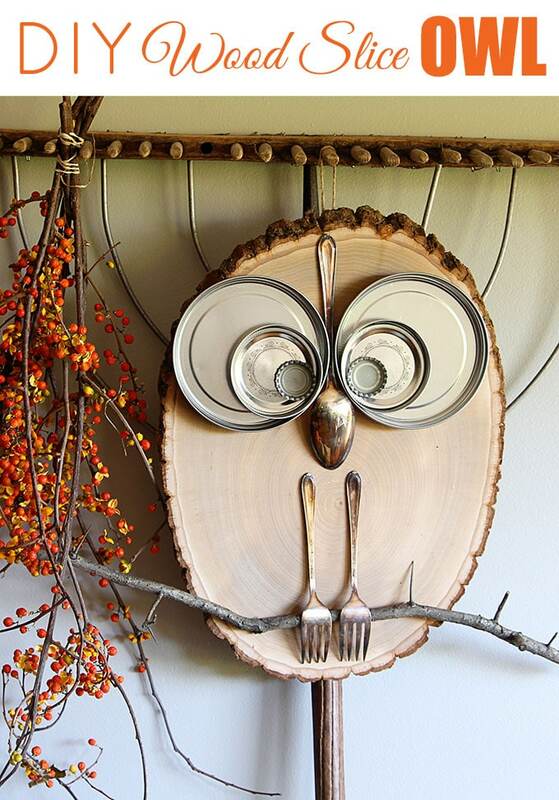 You can easily make a head by placing burlap over a ball or an upside down flower pot and drawing the face on it. 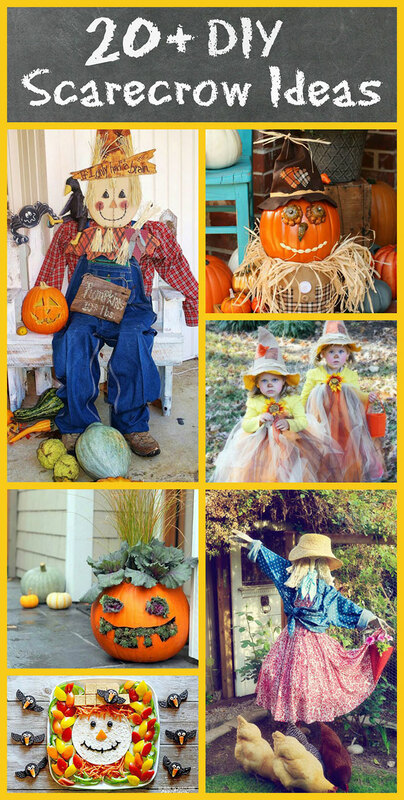 Go with a theme for your scarecrow – player on a sports team, gardening lady with watering can and hoe, girly-girl wearing a skirt, high heels and a purse, construction man with a shovel. These are all so fun! Last year we made a skeleton scarecrow! The little scarecrow tutus are SO cute! What great scarecrows. thanks so much for all the wonderful idea’s. I love them too. Pam these are all super cute. 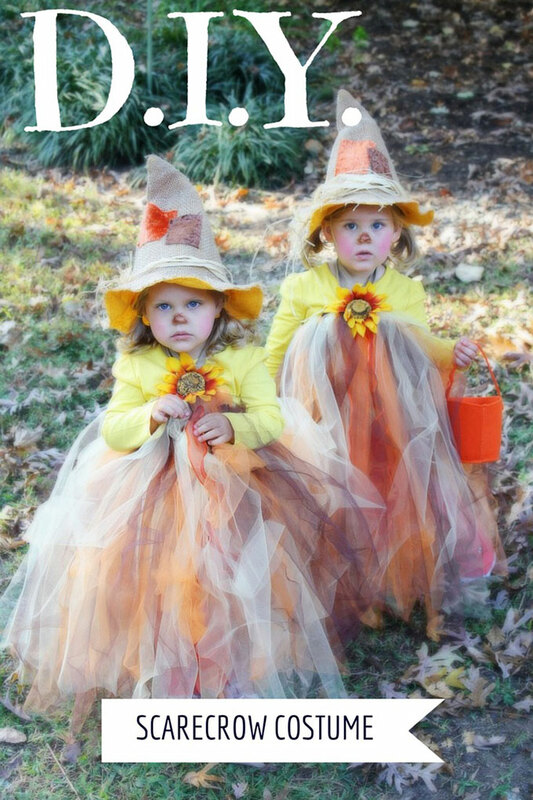 The scarecrow costumes on those sweet girls is adorable. Too fun.